The Tax Cuts and Jobs Act (TCJA) passed in December 2017 created sweeping new tax law changes. This article is about businesses and entities. For more information about changes to individual and family income taxation in 2018, see this article. The following rates took effect January 1, 2018. The federal C corporation tax rate has moved to a flat 21% federal rate in the United States. Note: Other than the new corporate tax rates, several items noted below expire in 2025 under the new law. A new 20% deduction on certain domestic-sourced business income from sole proprietorships, partnerships, and subchapter S corporations (including LLCs) known as ‘pass-thru entities’ under section 199A reported on line 9 of the newly revamped Form 1040. Taxpayers can deduct up to 20% of the qualified business income (QBI) from qualifying pass-thru entities. QBI is generally the net income of the business. This deduction effectively reduces the highest marginal income tax bracket from 37% to 29.6% for the portion of household income represented by ownership in this company (salaries paid to owners are not eligible for this deduction). Your household income is not greater than $415,000 (married filing jointly) or $207,500 (single filer), with the phase-out beginning at income levels of $315,000 (married filing jointly) or $157,500 (single filers). This deduction is not available if your income is greater than the above amounts and you work in one of the specified service trades or businesses (SSTB): certain professional services (such as doctors, accountants, attorneys, and certain financial services, but not architects or engineers), performing artists, athletes, or any business that depends primarily on the skill or reputation of one or more employees or owners. Conversions to C corporation from a sub-chapter S corporation within two years of enactment of this law are treated as paid from the company’s Accumulated Adjustments account (which are amounts already passed through/taxed but not yet distributed) and from earnings/profits (taxed as dividends) on a pro-rata basis. Carried Interest is left largely intact, although the TCJA adds a new three-year holding period in order for certain holders to qualify for the long-term capital gains rate. Technical Terminations of Partnerships are repealed with the TCJA. Partners no longer need to worry that a sale or exchange of over 50% of the total interest in the business will trigger a technical termination of the partnership. The cash method of accounting has been expanded as an option, now where businesses with annual revenue of as much as $25 million (previously $5 million) can use a cash method of taxation accounting, as opposed to a traditional accrual method. A one-time tax on previous overseas earnings, with two rates, based on where such assets are currently allocated (15.5% on liquid assets and 8% on illiquid assets). Expansion of Bonus Depreciation under the TCJA increases first year asset depreciation from 50% to 100% and allows the deduction for both new and used qualifying property. The corporate alternative minimum tax has been repealed, protecting usage of research and development (R&D) credits, but the Section 199 domestic manufacturing deduction has also been repealed. Net operating losses may now only be carried forward, and carry forward net operating losses will now be limited to 80% of taxable income (with limited exceptions for farming losses). A new excise tax on ‘excess compensation’ for tax-exempt entity’s executives paid more than $1,000,000. The low-income housing credit and new markets credits are still available, and also retains a historic rehabilitation credit of 20%, taken over 5 years. A territorial taxation system is now in place, aligning the U.S. with generally accepted taxation practices in the rest of the world. Generalized, this means that U.S. tax is due on any company’s U.S. operations, but not foreign operations, regardless of domicile. There are still important nuances to this not addressed here, including special taxation on intellectual property and effective-minimum tax rates aimed at reducing tax avoidance through overseas entities. Talk to a financial planner briefly about your situation to see if we can help. The initial call is free. 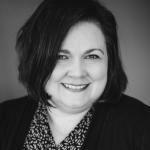 Rebecca is a tax and financial planning practitioner in Omaha, Nebraska with Callahan Financial Planning Company.